When you think of Russian spies you don’t necessarily think of twentysomething girls in bikinis -- or for that matter Irish immigrants. But these days, when it seems as if the Cold War is back with a vengeance, that’s what you get when you hear about Russian spy scandals. Perhaps this craze for the Cold War is just nostalgia, a longing for the days when the Soviets and Americans would engage in all sorts of skullduggery, but in the end, no one would get hurt. These days, in the back of our minds, we seem to know that any day can turn out to be as tragic as that one back in September of 2001. First came the saga of Anna Chapman, whose naked body seemed to be shown every day last summer somewhere inside the New York Post. Chapman was one of 10 Russians living in New York and New Jersey who were recently deported, having been accused of spying on the U.S. This past week, yet another bikini-clad Russian, Kristina Svechinskaya, was in the newspapers. She was part of a cyber-hacking ring which earned her the name “the next Anna Chapman” in certain circles. Well, there are no bikini-clad lasses in the saga of an Irish immigrant who has been accused of spying for Russia. Perhaps that’s why many people haven’t yet heard of the case. Nevertheless, the saga of John C. Dullahan is strange trip back in time to the hottest days of the Cold War, when “Russian handlers” and polygraph tests gave people the cold sweats, the way the phrase “ties to Al Qaeda” does today. Dullahan was born in Ireland and joined the U.S. Army in the late 1960s. He served in Vietnam and became a U.S. citizen. He rose to the rank of lieutenant colonel before retiring. Later, however, he became an officer in the Defense Intelligence Agency. 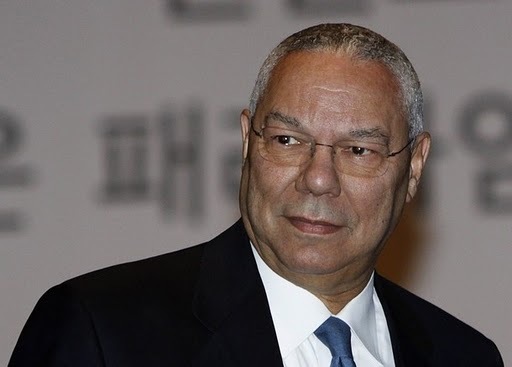 Dullahan eventually became a trusted aide to Colin Powell, the revered former general and head of the Joint Chiefs of Staff. Dullahan’s beat was Eastern Europe, where his job was to advise military leaders about the state of affairs in that former bloc of Soviet-run nations. Trouble began to arise for Dullahan last year, when, following an investigation, Dullahan failed a polygraph exam -- the infamous “lie detector test” seen in thousands of smoke-filled rooms in tense scenes from thriller flicks. “The polygraph examiner accused Dullahan of meeting ‘Soviet handlers’ when he had visited -- 20 years earlier -- East Germany in the early 1980s, during his UN assignment in Syria, and on his numerous official trips to Europe while on the Joint Staff, including trips with General Powell,” said Dullahan’s complaint, which was first filed in January of 2009. Dullahan denied all the charges and has since filed a lawsuit. For now, perhaps the most fascinating aspect of all of this is that, two decades after the collapse of the Berlin Wall, we are still waging the Cold War. Perhaps if Dullahan wore a bikini his case would get the kind of coverage it deserves.